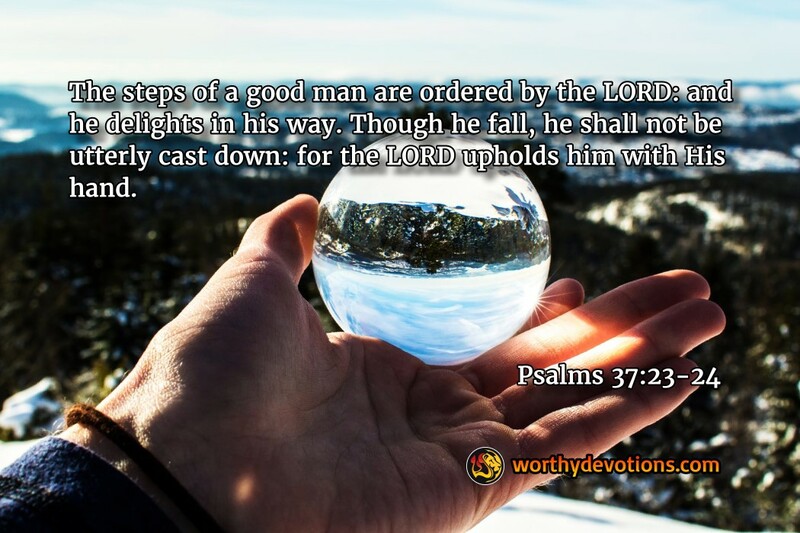 Psalms 37:23-24 The steps of a good man are ordered by the LORD: and he delights in his way. Though he fall, he shall not be utterly cast down: for the LORD upholds him with His hand. Failure is never a pleasant feeling. It isn’t enjoyable to lose a job, see a relationship falter, or fail a test. But the disappointment we feel when we face defeat can be turned to joy if we look at it the right way! “Have you solved the problem?” he asked. “No,” replied Edison, “that experiment didn’t work at all. Now I can start over again.” Edison could have such a confident attitude because he knew that the road to success is often paved with disappointments that serve to extend the road — not to block it. Each failure brought him a little closer to success. Living a life of victory is not about being perfect — because we are human — and will always make mistakes. The key is learning how to get up after we have fallen. It’s natural to make mistakes — but it’s supernatural to learn from those mistakes and move forward! Your Mourning Will Be Turned Into Dancing!